Today I used a quote as a writing prompt, simply writing whatever flew off the ends of my fingertips in response. I wrote this short essay in five minutes and maybe two more, to bring it to conclusion. 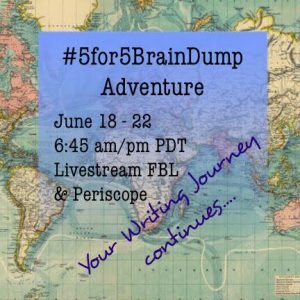 It was written in #5for5BrainDump style and I am thrilled to announce our next #5for5BrainDump session has been scheduled to begin June 18. Come back tomorrow for a link to the free sign up page. (Woeful mailing list issues). Now, wisdom from Carolyn Myss, a different child-like version of me and a surprisingly… well, just me-me. This quote hits me like a shocking slap to the face. Ouch. Sting. 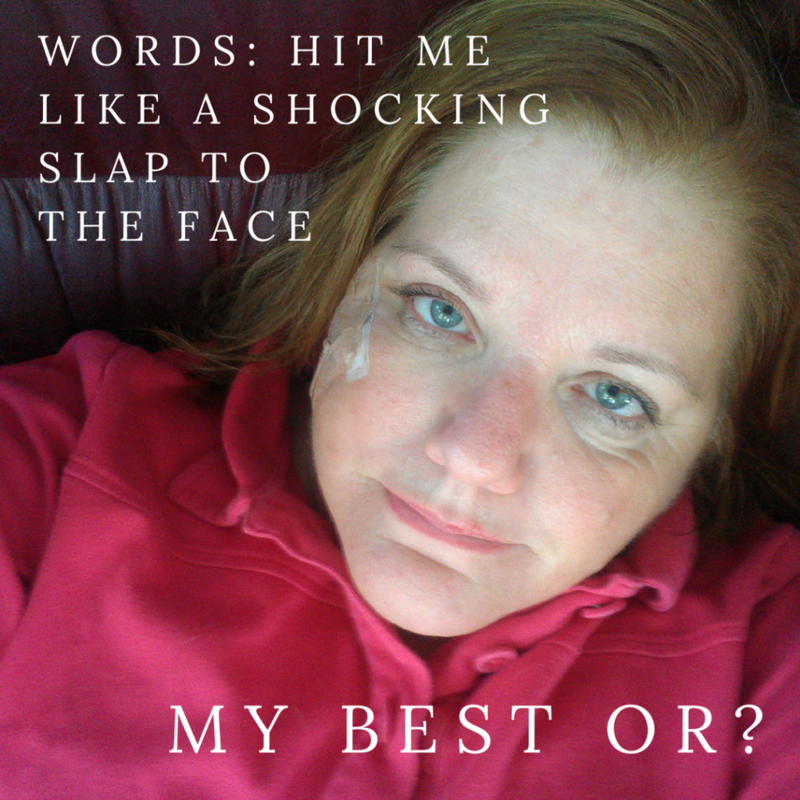 I reach for my face – my heart shaped scar, the tears that want to pour out but stay continually stuck. Frozen. I do not want to look back on my life and see fear everywhere. I have stopped saying the word “want” as much as possible. My aim is to look back and be satisfied, even with the fear-filled moments. All of the fear mongering experiences have served me, strangely, in adding a more compassionate side and gaining multitudes of life. I continually learn about self-forgiveness and compassion. I could have a PhD (at least) in patience. 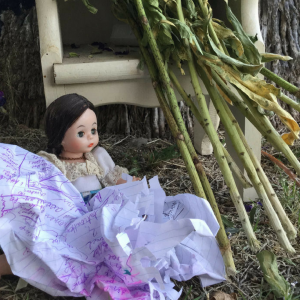 I’m a grief expert, and my shortcomings – not wanting to create more strife or have confrontations or let go – these are areas I recognize and continue to work on. When I look back at my life, I see purple. I smell lavender and juniper and surprisingly moist soil and last year’s leaves. I hear birds– familiar and not-so-much, pencils scratching on paper, and I see smiles slowly breaking across faces and eyes crinkling up. I see tears: of awe and bitter sadness. That earlier contrarian Julie is in disagreement. Julie, this quote hits home for me as well because I’m currently in a state of fear. Now that Im expecting, I keep panicking and thinking that “OMG, now all my failures will be a disappointment to TWO children,not one. Im trying to stop thinking that way,but its not easy. Whenever I make baby steps I cringe a little because Im scared that one step will somehow crumble into dust therefore leaving me no foundation to build upon. But that very rarely happens. So with that I will continue to cringe but also continue to make the steps. Thank you for sharing your heart!